シリアルが83から始まっているので、1983-1984年頃製造されたものかと思われます。 The serial started from 83, it seems that it was manufactured around 1983 - 1984. Excuse me. Swap immediately. Please wait a little more. There is a quotation for ROLEX Japan. 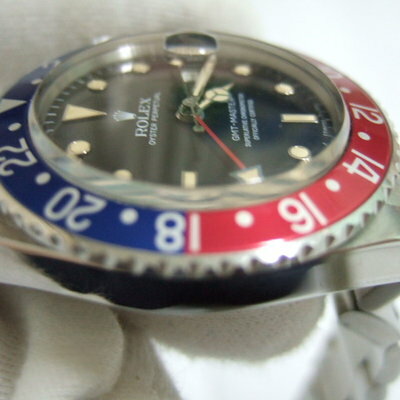 Because it was necessary to change the needle at the time of OH Rolex Japan does not do OH. It is a one owner thing purchased in the 1980s. 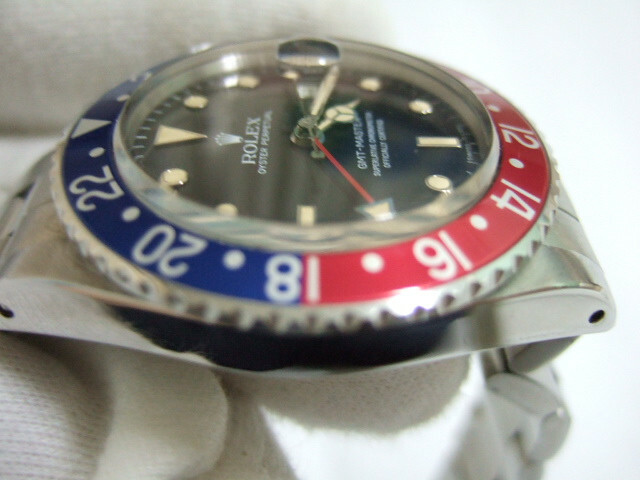 The genuine bezel has turned discoloration into a purplish red color. I uploaded the comparison image. index is burned to beige color. The bezel has turned into a thin pink color. There is a gloss on the bezel.